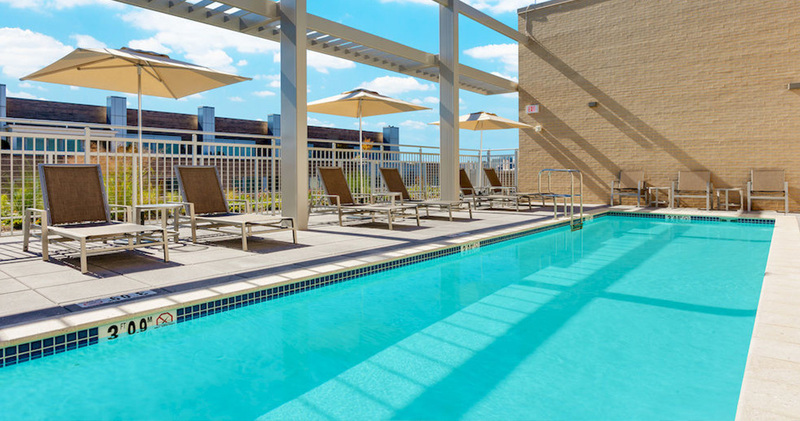 Hilton Garden Inn Washington D.C./Georgetown Area is a modern hotel with friendly staff, spacious guestrooms and enviable West End views. 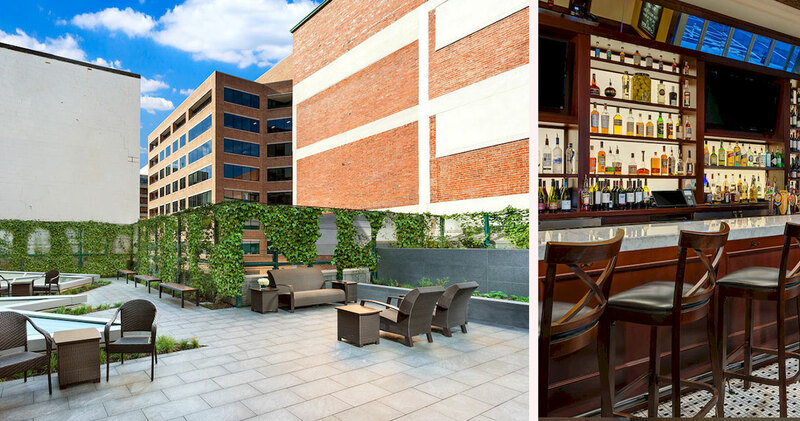 Hilton Garden Inn Washington D.C./Georgetown Area is located close to the White House and National Mall. This upmarket hotel has a comfortable yet contemporary vibe. 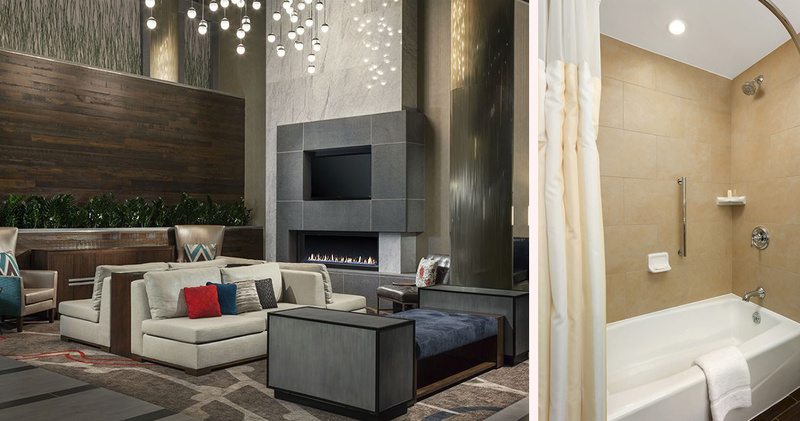 The inviting lobby features modern furniture, dark hardwood finishes, trendy light fixtures and a comfortable lounge area with a fireplace. The garden terrace is an attractive outdoor space where guests can relax and enjoy the city views. The hotel is also home to a Pavilion Pantry that offers drinks, travel essentials and snacks 24 hours a day. 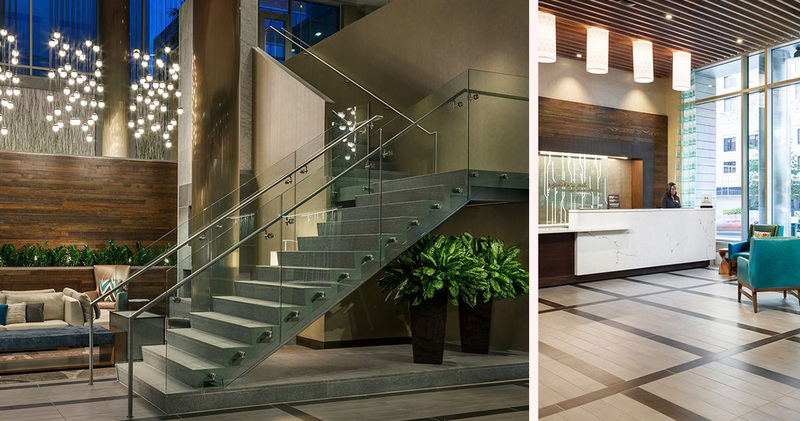 Hotel Hilton Garden Inn is an environmentally friendly, LEED Silver Certified Hotel. 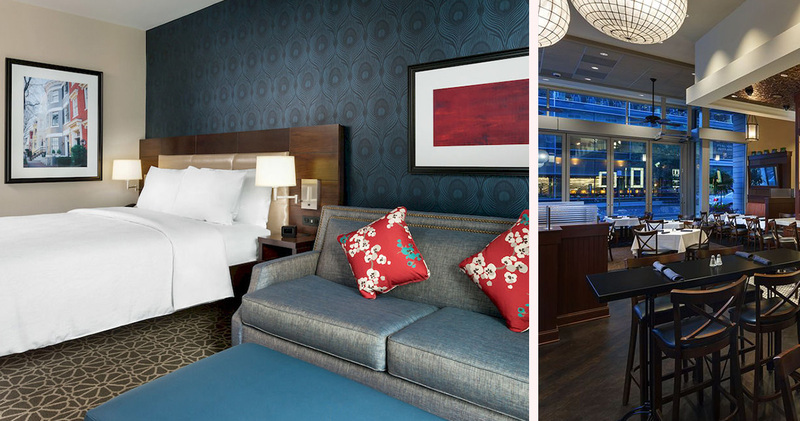 The guestrooms at Hilton Garden Inn Washington D.C./Georgetown Area are beautifully appointed with large windows, soothing colors and thoughtful furniture. 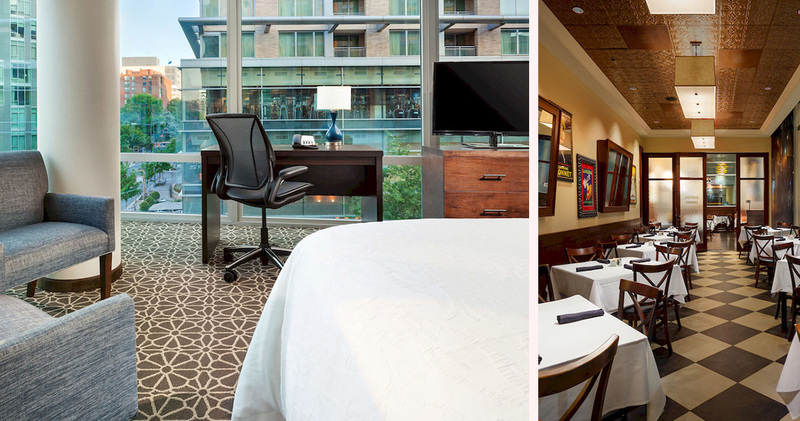 Rooms feature a spacious desk with an ergonomic Herman Miller Mirra Chair. 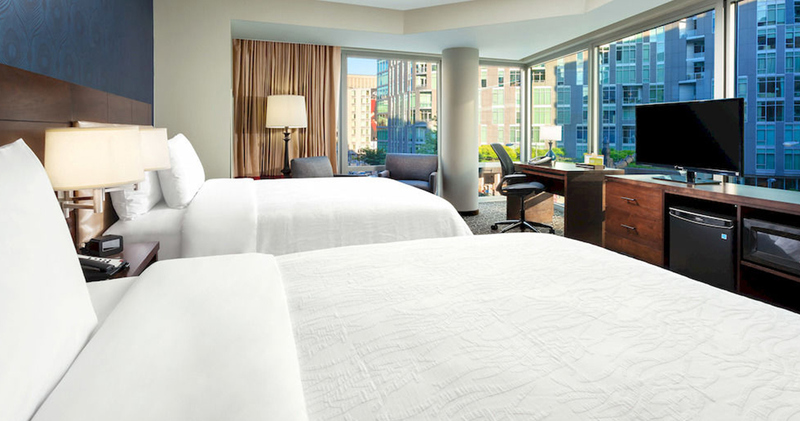 The beds feature Serta pillow-top mattresses, Pacific Coast down pillows and duvets and 250 thread count luxury sheets for extra comfort. The refreshment corner is equipped with a Keurig coffee maker, mini refrigerator and microwave. 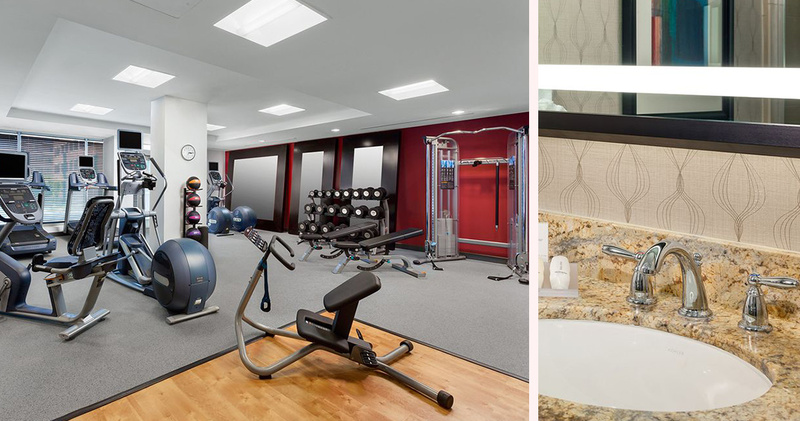 The bright and elegant bathrooms are well laid out, featuring granite countertops and Neutrogena bath products. 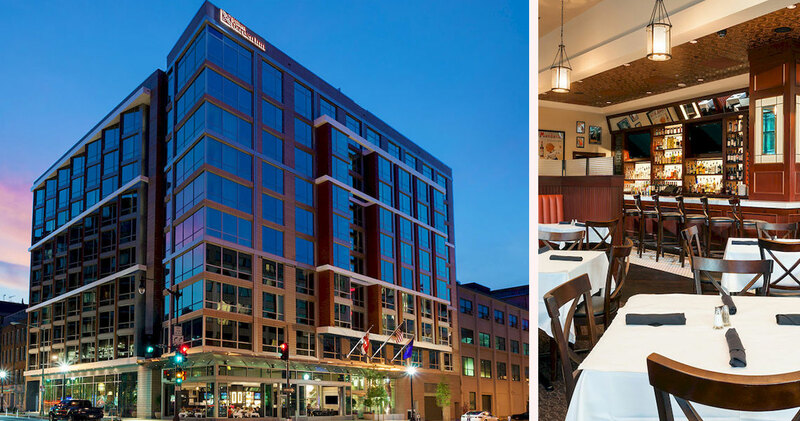 Hilton Garden Inn Washington D.C./Georgetown Area is home to Cafe Deluxe. This charming American bistro features intimate tables and a separate bar area. The menu offers classic American fare with favorites such as Grilled Meatloaf, Steak Frites and fresh seafood.